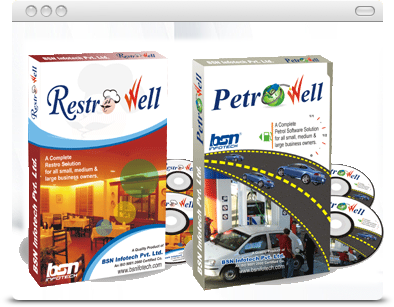 ﻿ GST Compliant Accounting Software | Account Well | BSN Infotech Pvt. 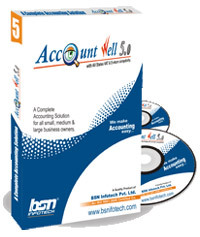 Ltd.
Account well is a complete business accounting and inventory software. It contains various modules like Purchase System, Sale System, Service and Job Work System, Job Card Management, Production System, Stock Management, Marketing/Agent Sale Management, CSD Stock Management, Broker Management, Sales Tax Return Modules with E-Return, SMS Facility. This Software is useful for traders, retailers and Manufacturing units also.